Be the first to know about the latest fashion trends, celebrity fashion, tips and posh style pieces. Stay updated! This blog include posts about fine dining, restaurant review, cooking and more. Dine with Karence! 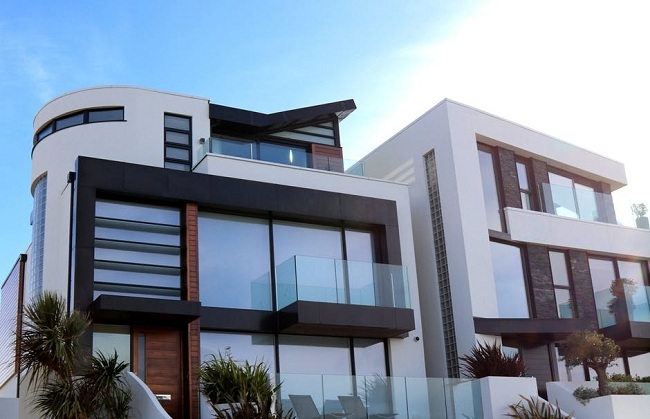 It's about the Real Estate industry and house designs, interesting luxurious properties, and interior design. 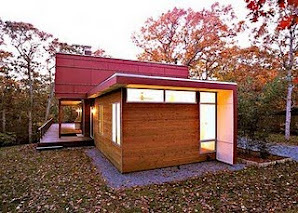 I've checked around the web and found some modern building designs that I really like these days. I don't know why modern designs for homes is really attractive, maybe because I always want to see unique creations. So here are what I found online. The design of this house is really fantastic because it is perfect for small places. 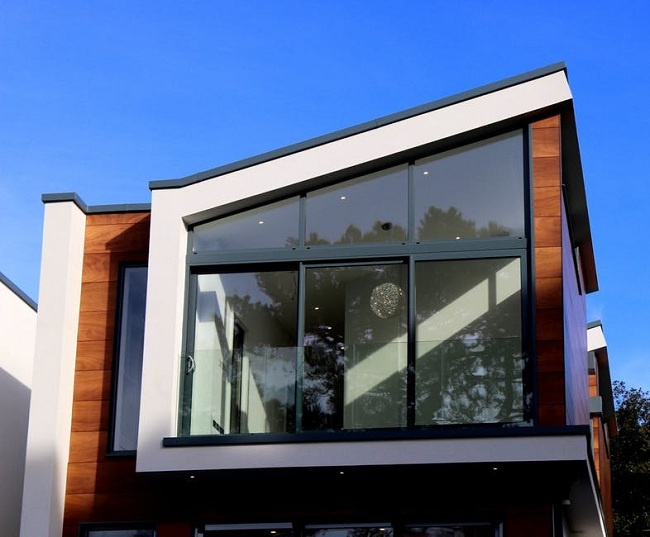 If you have a little space to spare for home building and you want a modern design, this one is perfect. It is accentuated with brown hue that has a contrasting effect to the modern vibe of the home. This house is basically ultra modern. 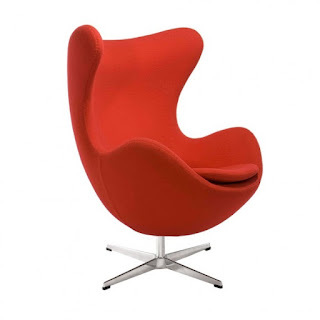 The design is sleek, chic and remarkable. It has well-defined parts such as the mirrored veranda, deck and fence. It is huge for a big family so you'll know everything is covered for your homemaking needs. This is also a massive house, designed in a modern way. The look is also sleek, clean and minimalist. The rooftop is very attractive and it has mirrored veranda to complete the design. The space is huge so you can have the whole place all by yourself. Stunning! If you're seeking for inspiration to build modern building, these are the ones that I'd like to share from Pexel. The design of your house basically depends on location, space and budget so it's all up to you. Every corner of the world has something unique and interesting to show. But, many people focus more on travelling to the most travelled places to find a better route. 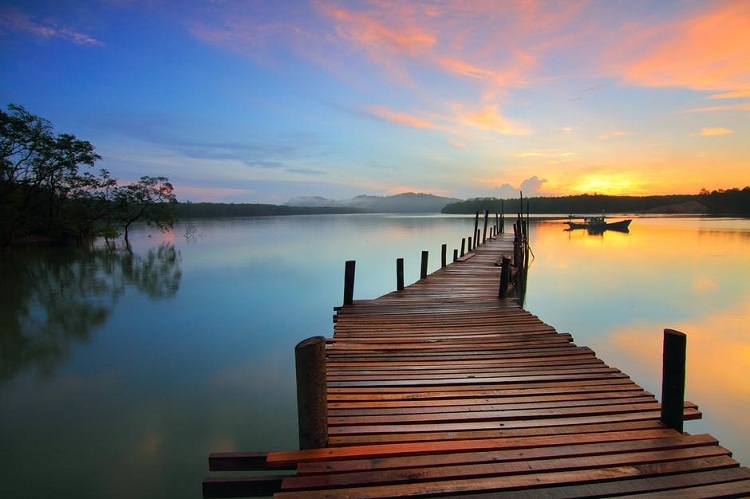 There are few places out there which are less travelled… so, why not embark on a journey no one else has done? The least visited country might not be the one you think it is. Let’s find the right destination! Tuvalu is a very remote country, and it receives just over 1,000 tourists each year. This small country is not easily accessible, and far from the laidback path. To travel there, you have to take a flight from Fiji which is available just twice a week. There is also an occasional cargo ship which carries passengers as well. Travelling to Tuvalu is worth it; this country breathes marine life and is the ultimate diving & snorkelling spot. It can take over weeks to discover the whole of the place as it consists of different corals atolls, coral reefs and lagoons. The locals are also very friendly and enjoy a unique Polynesian culture; they can blow your mind with their crafts, stories and music. Found in the Central Pacific, Kiribati is an isolated island which receives less than 5,000 visitors yearly. The island is spread across just 800 squares kms, but it consists of other small islands over 3.5 million square kms. This nation is less modernised as it is not very easy to access. If you want to go there, you must first fly to Nauru or Marshall Islands where you’ll get the flights every week. From Fiji Islands, you can catch a flight to the capital of Kiribati, every two weeks. Even if they are deeply rooted into culture, the locals are very friendly and warmly welcome the tourists. They also organise cultural events for visitors. The best part of the Kiribati is their unique dance style which includes birdlike movements. You can get a foretaste of this unique destination on Lost Island online slots. Playable at Regal Wins Casino, this slot game is all about adventure and unfamiliarity. Monserrat is the least visited island in the Caribbean. This island falls under the British Overseas Territory. It is best known for the dormant Soufriere Hills Volcano, which once covered the capital in ashes, when it erupted in the late 90s. But for now, the islands are great for snorkelling, diving and for some lonely times. The island also bears the name of ‘The Emerald Isle’ as it was home to Irish rulers back in the 17th century. The island is home to some locals who share both Irish and British culture. And, one of the most celebrated days over there, is St. Patricks. Even if some of these places seem accessible at first, you might be agreeably surprised when you place your foot on these territories. After all, an undiscovered place also has some buried which want to be found. Every millennial has a special way to live green because of the instant access to valuable information regarding maintaining an amazing lifestyle. It means that the next generation is even more prepared to make the world a better place to live and that everyone has a way to do its part in achieving such a universal feat. When it comes to green living, it is true that money is involve in the process of transitioning from a modern way of living to having a sustainable lifestyle. However, there are valuable ideas for green living and millennials will surely benefit from each of these tips. Before the popularity of the Internet, I have observed people using water heater with corresponding tanks. I think it is a bit more expensive and unnecessary since we can always prefer to use tankless water heater wherein you don't need to store hot water all the time. It is a waste of time, money and resources to use water heater on a tank because you don't need it every now and then. The benefits of tankless water heater are having smaller physical footprint, higher energy efficiency and the endless supply of hot water when needed. So its a good idea to get rid of the traditional water heater and choose a more sustainable way of producing hot water. Always remember that fewer household energy demands mean fewer emissions of carbon dioxide and greenhouse gases. Many people even mentioned that it is more costly to use hot water than cold water. One example is using hot water in washing clothes and not lining it to dry outside the house. As mentioned earlier, it is also highly recommended to use the best tankless water heater to save energy and money. Have you heard about a fashion designer who used recycled fabrics to create new stylish clothes? I've heard that he used to tour around the city to find clothing warehouses to collect extra fabrics to create new shirts, dresses and skirts. Now that his new clothes became a popular, he has not only improved his work but also found a way to prefer green living and leverage his business. With this example, what other ideas that you can suggest? Wearing modest clothing pieces is one way to go green but it should be done by following ethical fashion. There are clothes and accessories that are made of natural materials that will help us save the planet. I've seen bags made of hemp and it really attracted me even to this day. I own clothes that are restyled and I usually wear second-hand pieces. I have a hat made of native materials, too. By using green products, you're in the process of simplifying your life but without sacrificng style ans comfort. If you're planning to change your beauty products, it is better to go green. Take time to study the homemade solutions of using Olive oil as a makeup remover. You can also pick fruits in the backyard to make your own facial mask such as avocado, lemon and more. For my hair conditioner, I use coconut oil because it will keep my hair so healthy, shiny, and strong. One of the most amazing ways to go green is to have an eco-friendly home. Obviously, it is related to techniques in conserving energy and water at home. I am really impressed with interior design ideas that include indoor plants or houseplants arrangement inside the living room. Think about using renewable wood for home furniture and try drift wood art for home decor. For your rug, why not use an item that is biodegradable? Aside from that, you can probably source out biodegradable trash bags so you can help in protecting the environment from harsh waste products. If you talk about going green, it includes using all natural and non-toxic alternatives instead of the usual cleaning products that are made of chemicals. Some of these products are not good for your health and merely exposing yourself to any of the cleaning solutions that are toxic isn't good. After all, cleaning your home and getting sick in the process of doing it is an absurd thing to experience. Before planting vegetable in your garden, you might want to learn creating your own fertilizer or anything that naturally help your plants grow well. Instead of throwing away waste materials such as disposable household trash from your kitchen, try to make it rot in the backyard and use it in planting vegetables in your garden. We've been doing this for years and the result is always fascinating. It helps us save money, too. The things listed above have been shared by parents and elders who prefer to go green. If we slowly emulate their ways of living, millennials become amazing steward of the environment in general. Let us not ignore this opportunity to do our share of making this world a beautiful place. Buffet 101 is an eat-all-you-can restaurant that has branches in the metro. 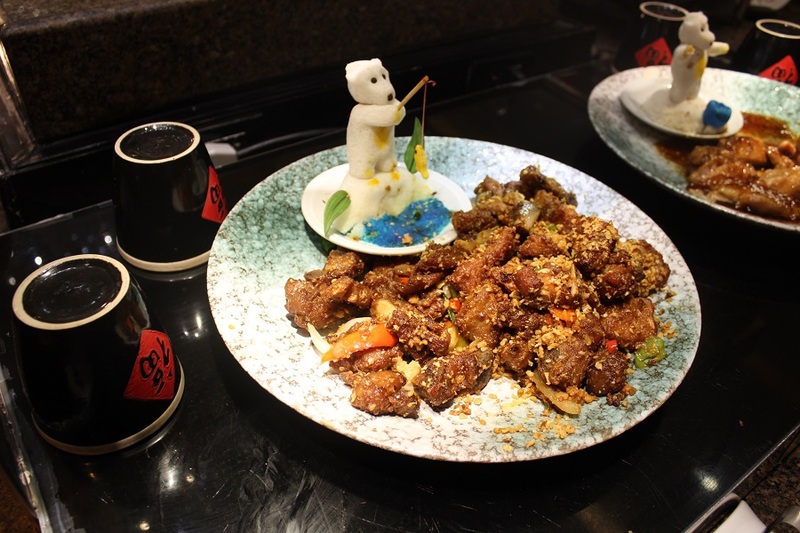 It is also an international cuisine with a variety of dishes from across the globe. I've already dined at their SM Mall of Asia branch twice and all I can say is that I had an awesome dining experience for both occasions. 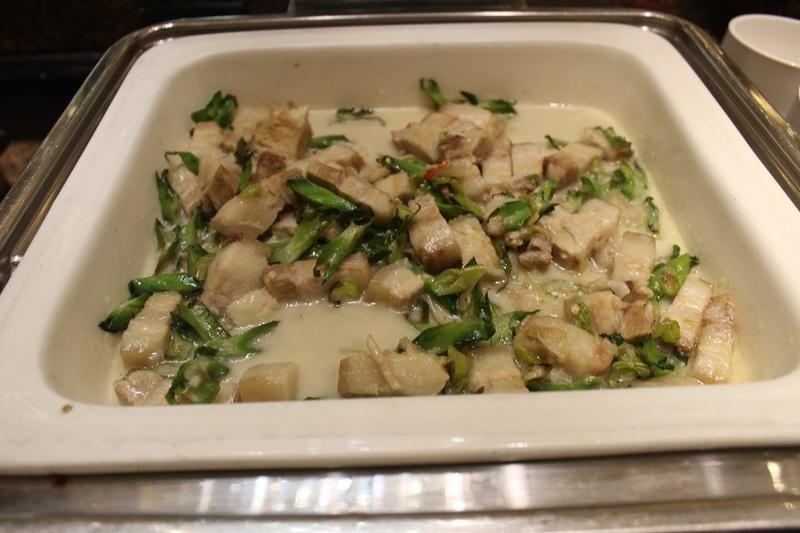 Today, I would like to share my favorite dishes at Buffet 101. Let's get started. If you have visited Buffet 101 lately, I'm sure that you have seen these delicious offerings of the eat-all-you-can restaurant. For more details, you can check the Facebook account of Buffet 101 and check my post on another blog, the Buffet 101 Eat All You Can Restaurant Review at Karen Ezine. The climate in Toronto will definitely determine the type of clothing you pack up for your stay. The climate varies depending on the time of the year, the cold winter months can be as low as -20 degrees Celsius while summer is usually at a tropical high of up to 35 degrees Celsius. If you are travelling in summer, pack light, save up on luggage space and buy your winter clothing while already in Canada. Spring and fall is often rainy and cool, sweaters and waterproof coats come in handy at this time. As a student, you do not really have to dress in official clothing, you can keep in comfortable and practical with clothing that is climate appropriate and socially acceptable. There are a couple of housing and accommodation options depending on how long you will be staying in Toronto. You can opt for a Homestay which is a popular option for exchange students staying in Canada for six months or less. Homestays are usually arranged by the university for international students as a fee. You get to live with a Canadian family and learn more about Canadian culture on a first hand basis. You can also stay in campus hostels/dormitories within the campus grounds. These are often shared units and amenities such as toilets, bathrooms and kitchens are also shared. If you prefer staying in off campus housing for YorkU students, you can go for shared apartments or studio apartments. These are furnished apartments often found near most university campuses. Proper money management is an essential part of living in Toronto as an international student. It is very important to stay financially wise in the money decisions you make during your stay if you want to live comfortably. Working with a new currency can be quite challenging, especially when you feel the need to constantly calculate everything in your original country currency. Taxes and tipping often add extra costs to a lot of purchases while in Canada. It is a great idea to speak to a financial advisor who can help you understand how to manage your finances better during your stay; there is a lot of information to cover including the potential tax benefits you may be legible for. Canada has a pretty elaborate public transport system including trains, buses and taxis. You can choose the most convenient and affordable route to your college from the housing unit. Public transportation such as buses and trains are much more affordable than taxis which charge by the mile/kilometer. Your safety and security depends greatly on where you choose to stay while in Toronto. Campus security is provided by the university administration. However, if you choose to live off campus, choose a well secured housing unit and avoid walking alone after dark, especially in lonely parks and roads. We love to read reviews on indie films nowadays. It's a refreshing way to appreciate creativity in the film industry. 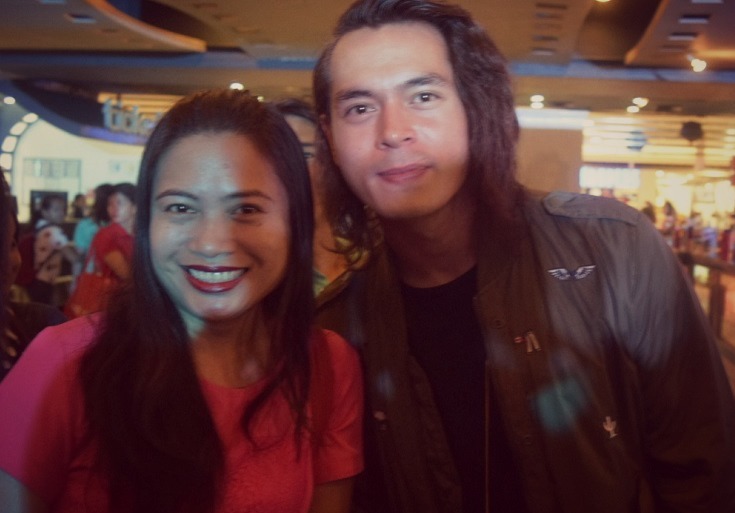 For all of you, I would like to share a short review of the film, Mulat "Awaken" which is top-billed by Jake Cuenca, Loren Burgos and Ryan Eigenmann. 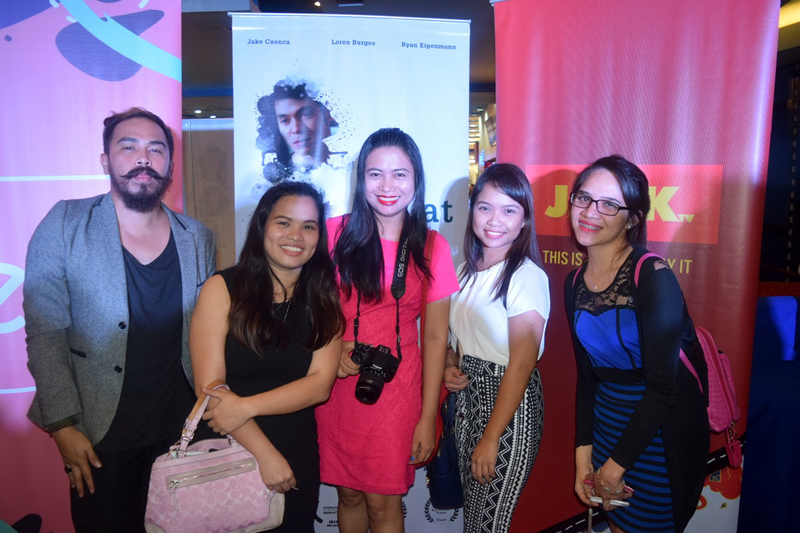 Obviously, it attracted many viewers during the gala premiere of the movie. Mulat "Awaken" is a perfect example of a remarkable movie that will entertain you from the initial scenes up to the ending. Every detail is essential to understand the narrative and answer questions about life itself. Thankfully, each scene is amazing that it's not boring to follow the story until the most-awaited part of realization is visible. The character of Sam, played by Loren Burgos, made me realize that there are things in life that I need to re-consider such as marriage and family relationships. Everyone who watched the film loved it and I'm really grateful that I took the opportunity to attend the gala night. So I'll invite you to watch the Mulat "Awaken" film on November 2, 2016. Now, I'll end this short film review with a question: How much choice do we have in shaping our destinies? 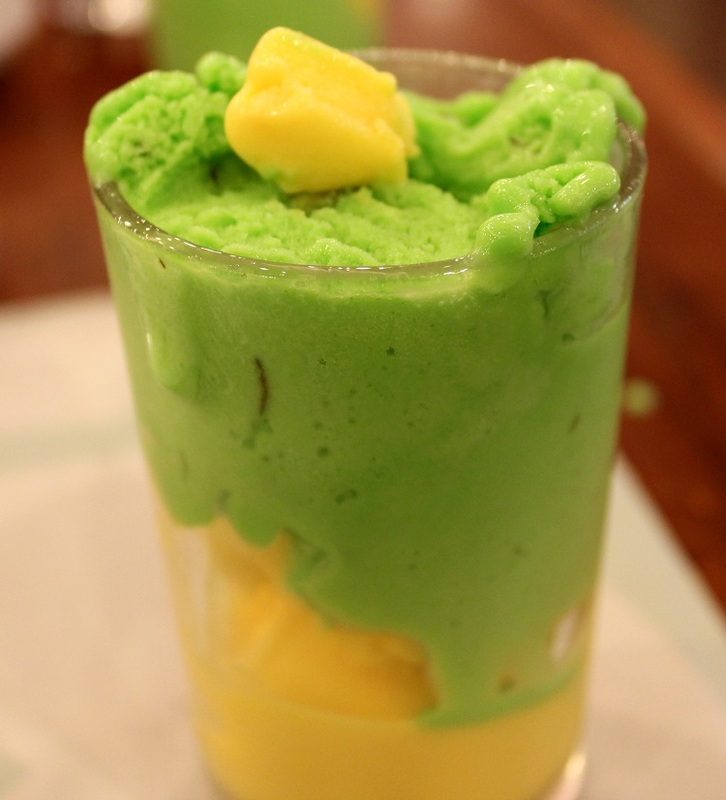 My Seafood Island Dining Experience at Market! Market! The way I see it, freshly-cooked seafood is still my number one favorite dish nowadays. I may have professed my love for grilled pork and chicken lately, but I still stayed true to seafood dishes. No wonder I chose Seafood Island to celebrate my seven years of blogging. I know it's been a long and I haven't plunge to the mainstream yet, but I'm getting there. I promise. 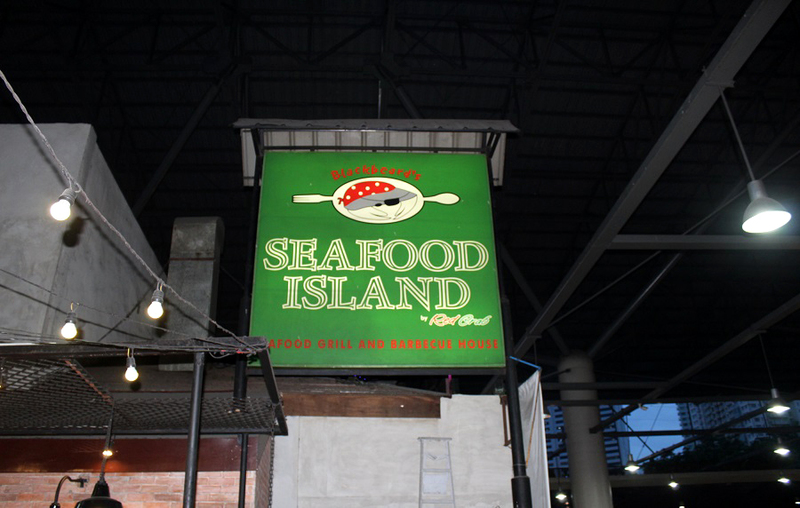 Seafood Island has a branch at Market! Market! 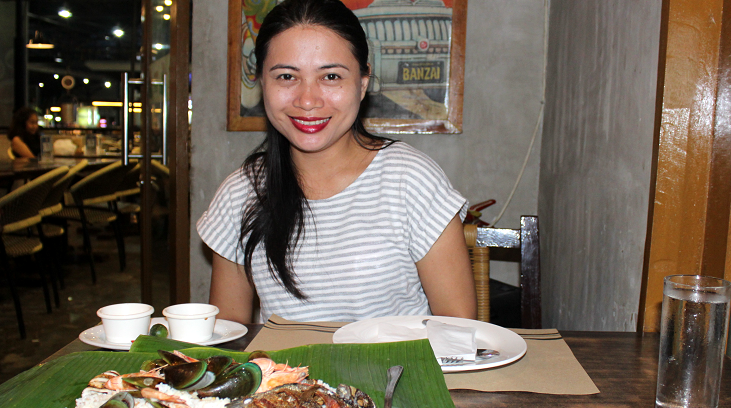 and it's my favorite place when I wanted to eat boodle style. It's more of a relaxed way to enjoy food and eat as much as I can finish this time. I know I'm a slow diner because I chew my food carefully, but this time, I really made it clear to be the winner. I finished almost three-fourth of our order, which is very affordable. For less than Php700.00, we had assorted seafood and the mix was cooked a very delicious way. The rice platter topped with seafood mix made me think of the days when we visit the beach to enjoy swimming. Our packed lunch is just the same - delectable, fresh and easy-to-prepare. This seafood mix is something really yummy since the taste is just perfect for a seafood lover like me. I know that I haven't written for a long time here. I was busy preparing for my book to be launched next year. Since I transferred here at Taguig, I'm really busy with meaningful tasks that will also inspire you. My lifestyle has changed since I live near Bonifacio Global City. I'm exposed to more shopping havens than before. SM Aura is just arms away from our place. With Market! Market! 's close proximity at home, I'm really inspired to spend more time with learning to unleash my creativity by visiting these places. My husband suggested I transferred here since it's near the office. It would be easy for me to attend events, too. My photos are usually taken at BGC, High Street. I love visiting Fullybooked, especially when I want to read self-help books. Anyway, thanks for dropping by. I'm still going to write interesting articles here. Have a great time! We love to marvel at beautiful design pieces in hotels. Interior designers really make sure that each piece is awesome. Today, I would to share my favorite picks for hotel chairs. My idea of collecting chic photos of interior design pieces inspire me to create this blog.I like this chic hotel chair because of the way it was presented - neat and classy - with amazing ornament. It's perfect for Meranti Hotel, the place where I discovered this piece. Everything red is bold and classy. It ignites the idea of falling in love and sharing happy moments with others. 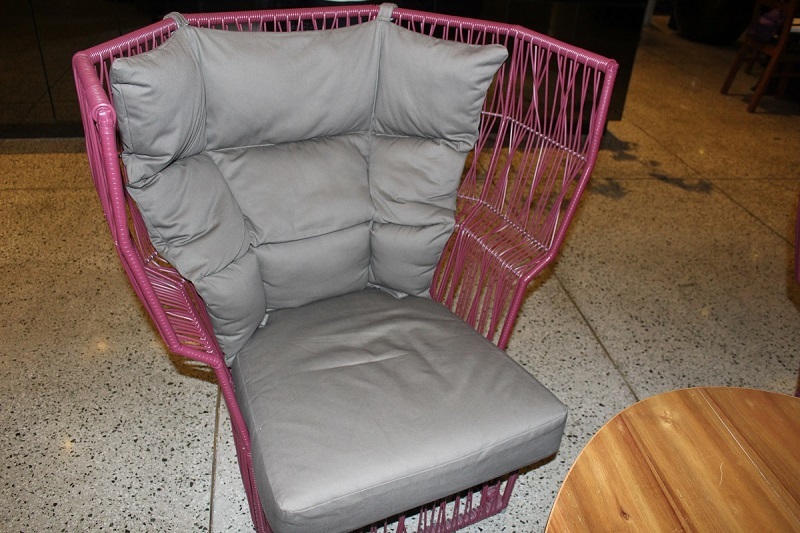 Obviously, this designer chair is made to spread positive vibes. I really like this egg chair design. You'll transform a minimalist hotel lobby with chevron pieces. 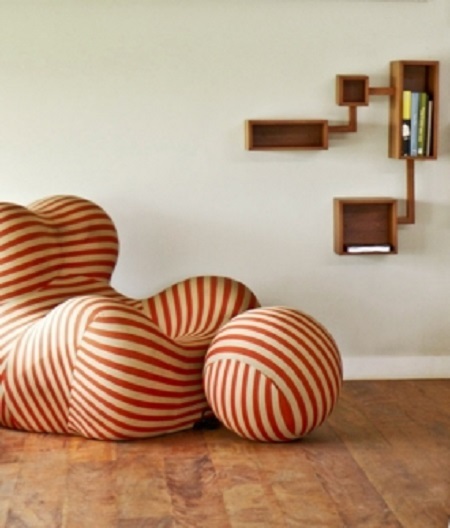 Stripe chair designs are also remarkable for hotels. Looking for something unique? Get inspired of this one. We know the vintage pieces are hard to find nowadays. If you have no time to visit museums and vintage stores, you'll never see your favorite retro pieces. As for me, I don't have the luxury of time to visit places that display vintage items. Luckily, I was able to attend the mini blogger conference for Let Gravity at Limbaga 77 Restaurant Cafe in Tomas Morato, Quezon City. 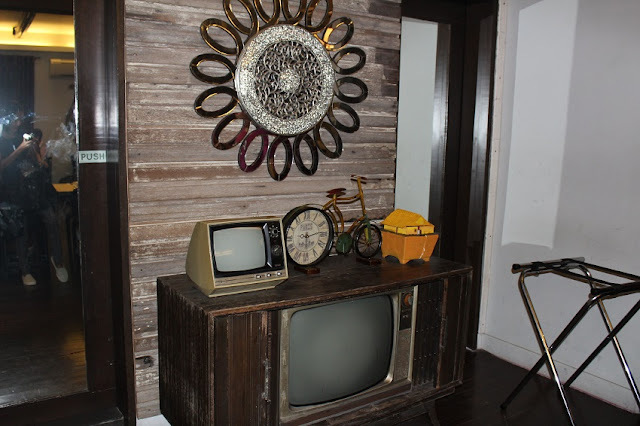 The casual dining place has a display of fabulous vintage items for its guests. During the time I had an afternoon stroll at BGC High Street, I saw a lot of old typewriters displayed in one of the stores there. At that time, I was thinking of finding a vintage television set. I was fortunate to see one at Limbaga 77 Restaurant Cafe. Obviously, I'm impressed with the place. Limbaga 77 Restaurant Cafe is cozy and homey - you'll always feel at home there. With the tasty dishes and drinks that they offer to their guests and the awesome customer service, it's the perfect place to visit for your next food trip routine. 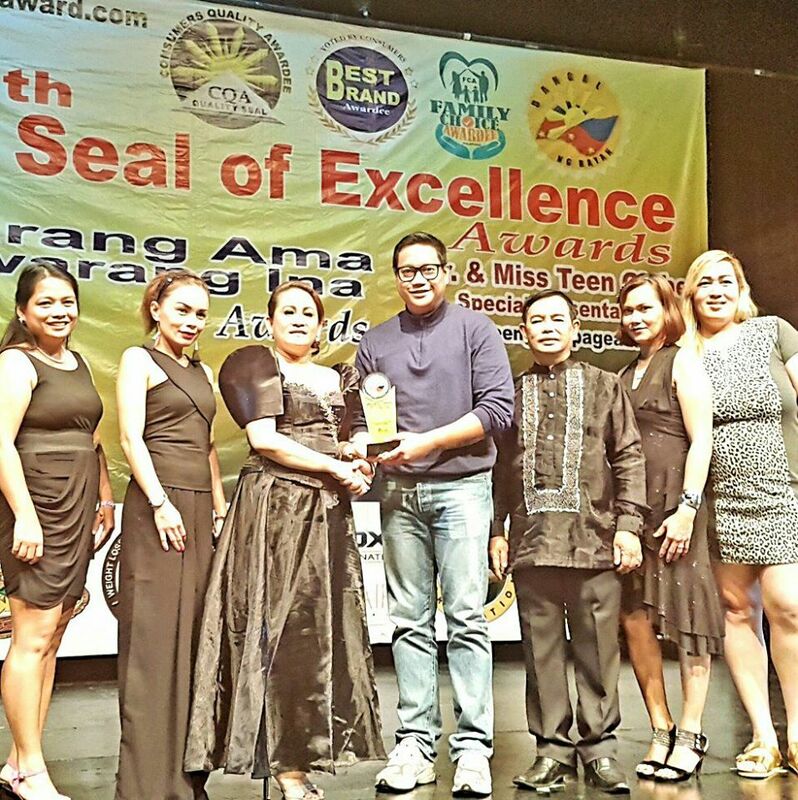 The Seal of Excellence Awards night was held at AFP Theater in Quezon City. I was just curious and wanted to learn about it. Luckily, Veni Flores invited me to support the event. Here's the list of awards that he received at that time, including his wife, who was also present at the venue as awardee. 5. 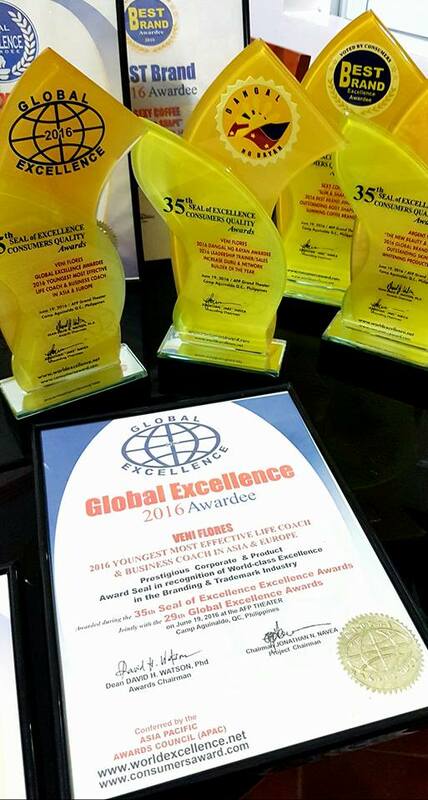 Most Productive and Result-Oriented Trainor in Asia. Thank you for the opportunity to learn from the industry. It was all worth it. We're here again to talk about travel and finding chic pieces from anywhere in the world. Last month, I had the chance to visit Meranti Hotel in Quezon City with other bloggers. It was a memorable experience for me, knowing that I love to travel and marvel at beautiful properties everywhere. Luckily, I was chosen to be one of the invited bloggers to attend the event, which is the launching of Maple at Meranti, the hotel's chic restaurant. My favorite paintings at Meranti Hotel. 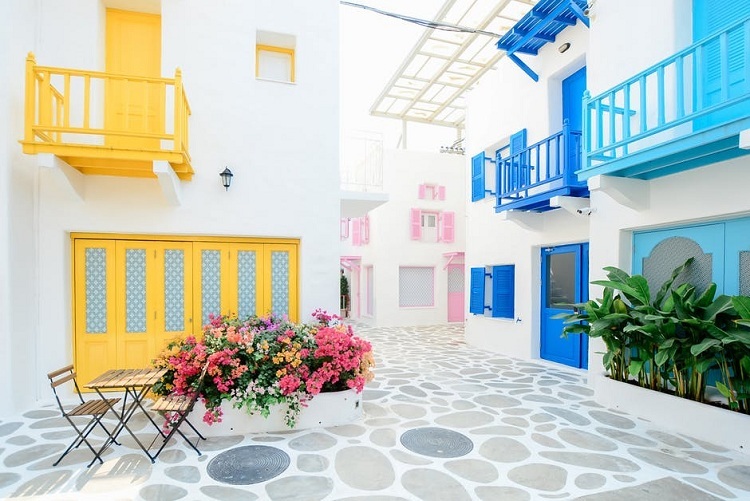 I love the beautiful combination of bright colors. We had a sumptuous dinner at the restaurant - with all the tasty dishes and drinks served for us. Obviously, I'm still thinking about their Chilean Mussels and Prime Rib Tapa. The food presentation was awesome and my favorite choice was the Southern Style Fried Chicken. You'll always feel at home in the said fine dining place, Maple at Meranti. However, I'm also enamored with the hotel's unique pieces, such as the amazing paintings at their sala or veranda. 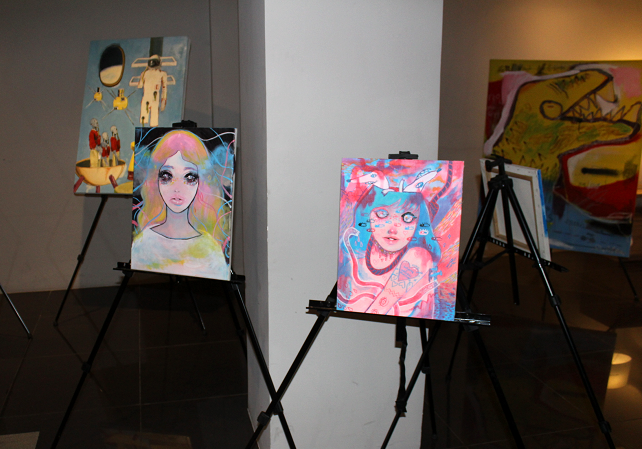 The fabulous and artistic paintings are created by UP students and displayed at Meranti Hotel for possible buyers. Indeed, it's a great idea for art lovers and guests of the boutique hotel. 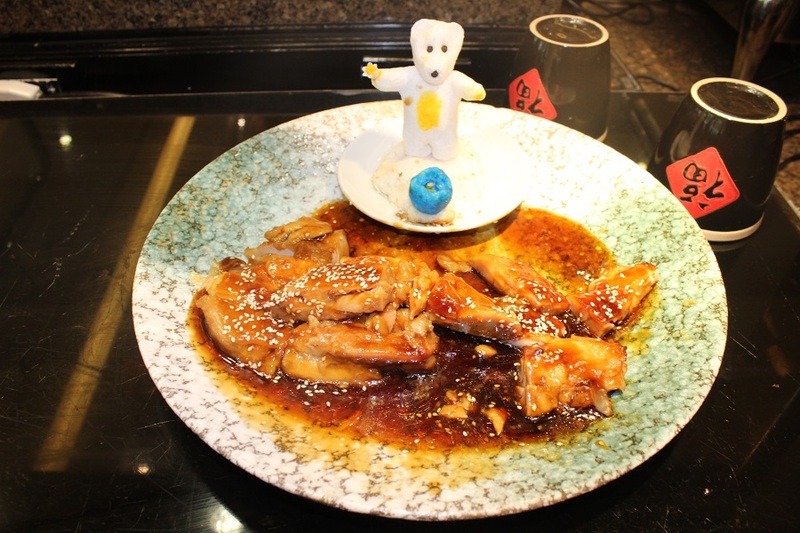 For my Maple at Meranti Restaurant review, you'll have a glimpse of the dishes offered at the elegant dining place. Share your comments below. I'll definitely reply. Cheers! Hello everyone! 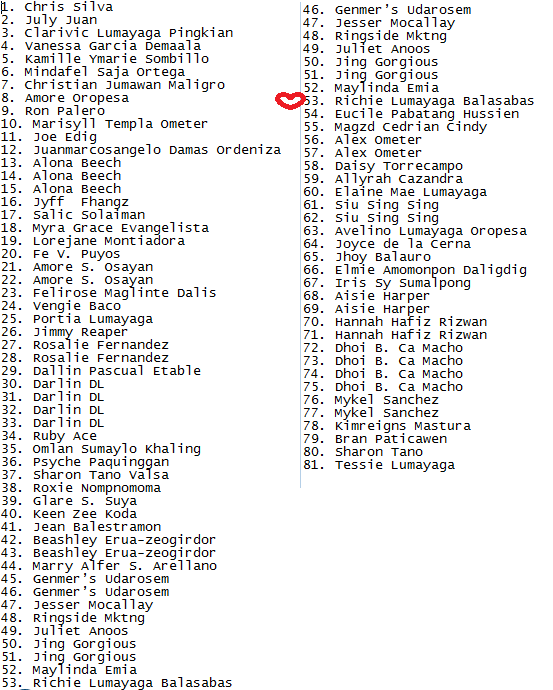 I'm so thrilled to announce the lucky supporter who participated in the latest Facebook activity of Argent Nine. The direct selling company is a new one and we really appreciate you for welcoming such an exciting business opportunity. For the lucky participant, please PM me for details on how to grab free products of Argent Nine. Thank you so much for supporting me and Argent Nine. Stay tuned for the next activity. Cheers! These days, decorating our homes is considered one of the most fulfilling activities. When it comes to decorating with flowers, we always want to know the best ideas. Luckily, I've found these chic flower decorating ideas online. 1. Make use of your old boots for flower decorating. 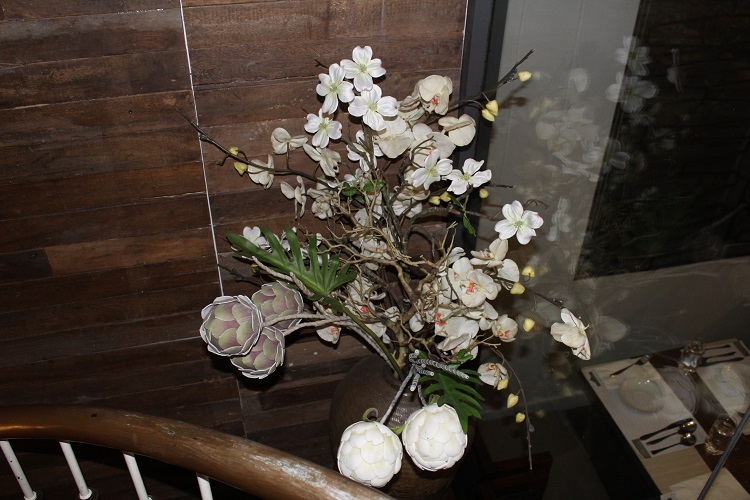 It's not only a way to recycle old products, it's also one way to make your home garden look chic and stunning. 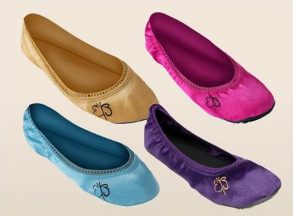 Since there are different kinds of boots nowadays, you'll end up collecting colorful and fabulous shoes for flower decorating. 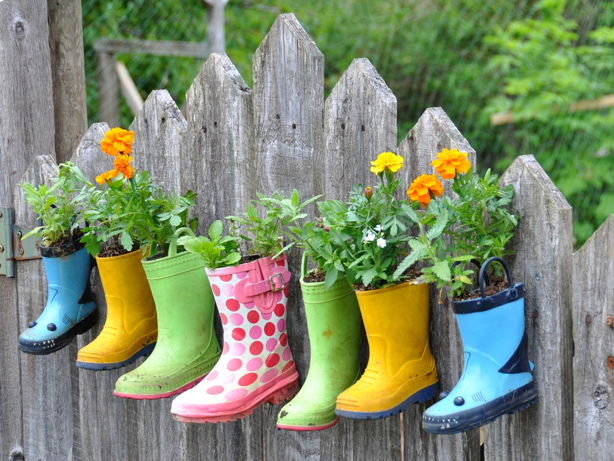 Go for rain-boots creativity! 2. Indulge in glass tube vases for flower decorating. 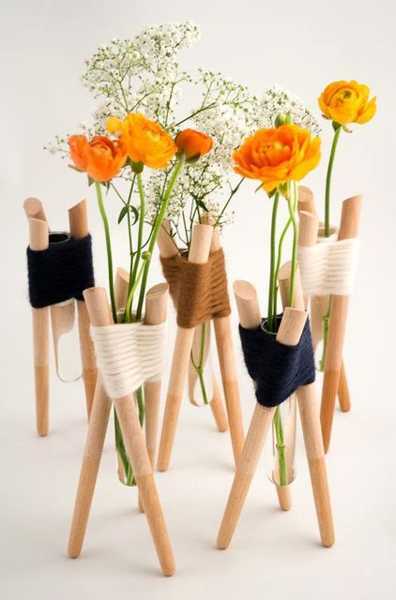 Here's another way to make use of your old items from home: creating flower vases using glass tube. Personally, I prefer wooden holder for a more natural look. It will surely upgrade the way I do flower decorating. Am I right? 3. For flower decorating, don't forget to use materials that you can find in your backyard. To make it more interesting, incorporate useful materials such as unused pails and old cups. Obviously, your home garden will look more organized with this simple idea. 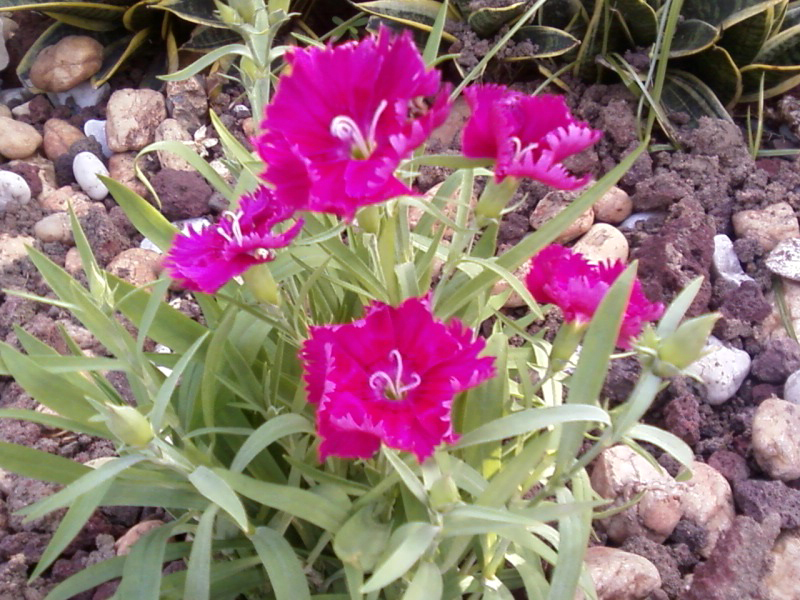 There are many ways to make your living room or home garden dazzle nowadays. 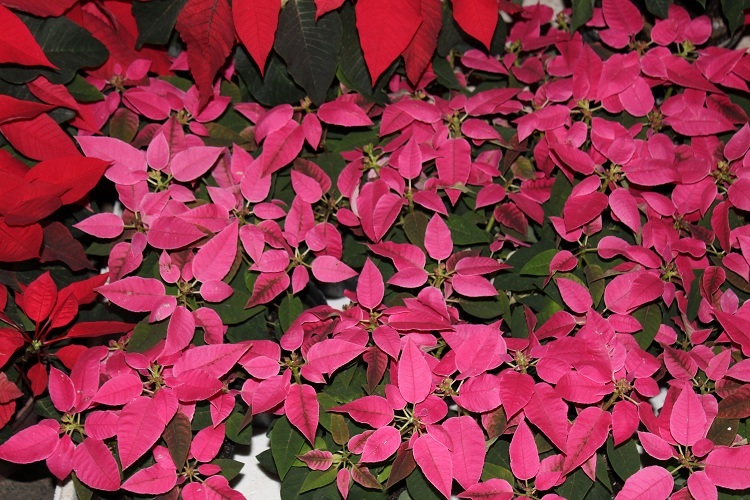 However, it's really amazing to include recycling ideas in your flower decorating projects. It's more fun and economical that way. 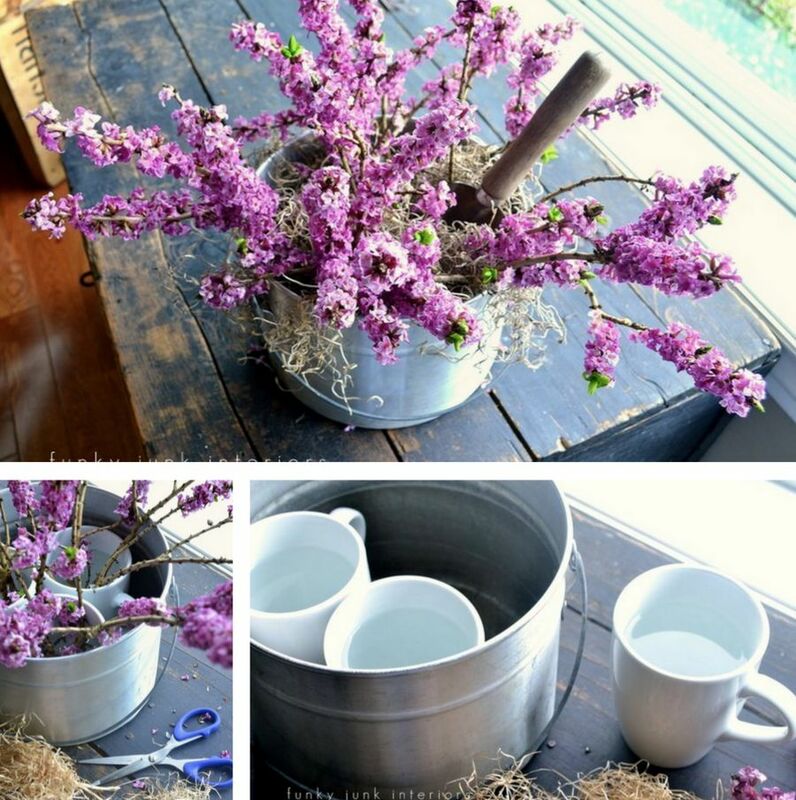 Have you tried doing these flower decorating ideas at home? Let's talk about it in the comments below, Cheers!